By now, you all should know that you have total control over your blog’s comments, right? You can choose to allow only registered users to comment, delete any comment you want, edit any comment, and do the same for trackbacks. While it helps to have a good comments policy, you still have total control over who, what, and how people comment on your blog. I recently discussed ways to protect your WordPress blog from hackers and other nasties of web life, and today I cover how to protect your blog from the attack of the mean commenter. First, let me say that except in cases of libel and defamation, anyone has the right in most “civilized” countries to say what they want about you – on their blog not yours. It’s their playground, so if they want to play nasty, it’s their right. However, you do not have to let their sand spill into your sandbox. Again, you have the right to delete, edit, and control comments and commenters on your blog. You have the “right to refuse service”, so to speak. You also have the right to respond or not, it’s up to you. Just remember, many mean commenters live for your response. They thrive on the negative attention, so by responding, you may be throwing fuel on the fire. Think your response through thoroughly before you take action. Make sure you will have no regrets for the actions you take. There are several ways to handle nasty comments and commenters. One is to ignore them. However, then your readers have to look at the nasty comment. 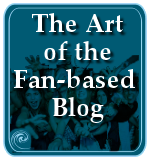 And you have to look at it for a long time as it sits there, fermenting on your blog. Do you want that? Here are some of your options for handling nasty commenters and comments on your WordPress blog. You can manually delete or edit any comment from the WordPress Administration Comments panel. You can also mark it and submit it as comment spam, though I do not recommend you take that action, no matter how much you may want to. It’s “revenge” thinking. Judge the comment and not the commenter by simply deleting the comment. The comment and commenter may be offensive, but that is no reason for you to make their life miserable by attempting to add them to the comment spam list on Akismet or another comment spam fighting tool. If it is comment spam, mark it appropriately. Just delete or edit the comment and be done with it. While I am not in favor of this option, if you want to seriously restrict and control comments on your blog, you can require registration in order to comment on your blog. In the panel for Options > General there is an option for Membership. To enable the option for Users must be registered and logged in to comment, click the check box to turn it on and click Update Options. To disable this and open your blog to comments from anyone, make sure this check box is unchecked. When a person comments on your blog, their IP address is recorded in the comment’s information, seen only in the Comments panel. You can use this, and other comment form information to block the commenter from within WordPress. With the information in hand, go to Options > Discussion and at the bottom you will find Comment Moderation and Comment Blacklist. In the box, you can add information that will be added to a filter that every comment must pass through before being released onto your blog. If any of the information in the box is found, the comment is marked automatically to be moderated, if in the Comment Moderation box, or as spam, if the information is in the Comment Blacklist. Take care and add the information to the appropriate box. Words: You can use any words in the Comment Blacklist to filter out comments. The traditional “nasty words”, swear words, and comment spam words are already filtered, but there may be some specific words or phrases you will not allow on your blog. Add them one line at a time to the list. Take care, though. 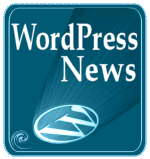 The example given is that if you include the word “press”, all instances of “WordPress” will be filtered. Avoid common words or parts of words to avoid filtering legitimate comments. Names: Add names of the commenters to the list to moderate or mark them as comment spam. Like words, take care that the name is fairly unique. Adding “John” to the list does more harm than good, but “John Goodenov” is fairly unique. URL: If the mean commenter includes their URL, the domain name for their blog, in their comments form, you can add this to the list. Email: Like the URL, you can add their email to the list to filter their comment. IP Address: From the comments form, you can copy and paste in their IP address to add it to the filter. IP addresses can be faked and changed, so don’t rely upon this if you truly want to filter out an offensive commenter. While possible, but not recommended, you can block their IP Address in your .htaccess file for users of the full version of WordPress. This, however, blocks them totally from your blog, not just from leaving comments on your blog. This is a serious step and should not be taken lightly. It blocks them from access, but they can easily change their IP address and be back to do more harm. Use this cautiously and wisely. Remember to take the “high road” on mean commenters. Be better than they are. Rise above, don’t lower yourself to their level. While they have the right to say what they will, to a point, you do not have to participate. It may hurt, but it will heal in time. All things will pass. Not all mean comments are meant to be spiteful. Maybe the commenter was in a bad mood. Maybe they just like the negative attention. Maybe you are in a bad mood and reading the comment wrong. Anything is possible. Take time before taking action. However, do not tolerate mean, spiteful, and vindictiveness wherever you find it, even on the web. There is no place for it, whatever its intention, especially on your blog. You are editing your blog for you and your readers, so think of their comfort zone, too. Should they have to read nasty comments to you, about you, or your blog post on your blog? And consider adding a comments policy to your blog, just in case you need something to point a finger at. Does Your Blog Have A Comments Policy? Do You Kill The Blog Conversation? 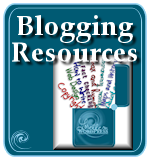 Is Your Blog a Conversation Blog or Answer Blog? What Is Sucking Your Blogging Confidence Away? What Do You Put in the Name of a Comment Form? Does Dofollow Influence Your Willingness to Comment? Are You Becoming a Little Over-Sensitive Over Comments? Are Blog Comments Getting You Down? 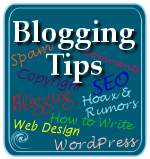 This entry was written by Lorelle VanFossen and posted on September 13, 2007 at 4:42 am and filed under blogging tips, WordPress, WordPress Tips with tags how to use wordpress, wordpress, wordpress help, WordPress Tips, wordpress tutorials. Bookmark the permalink. Follow any comments here with the RSS feed for this post. Post a comment or leave a trackback: Trackback URL. I find the best thing to do is have the comments await moderation so that nothing appears on your blog before you have a chance to vet it. There have only been three or four nasty comments out of hundreds so far. I let one be published because he made a fool out of himself by what he said, so my job was done for me. The others were simply too insulting and inflammatory for anyone to pay serious attention to. Because that’s all they want: attention. Besides spam comments that slipped through, I’ve only had 2 comments that needed to be taken care of. And both were done about 3 months after the original post so I doubt that many people saw them. I check my comments pretty often, so I just rely on that mostly. Chris: Frequent checking and cleaning out of the really nasty comments is easy to do. I’m with you. I rely on my comment spam filters to pick up what they can, and deal with the rest manually. Still, if someone is really abusing your blog, and you, then it helps to know you can block them. There is power in just letting it go away and ignoring them, and putting all your focus and energy back on the positive stuff. Thanks for the useful tips, Lorelle! I had nearly forgotten about the Comment Blacklist option, mainly because I use the Comments panel more often than the Options > Discussion one. 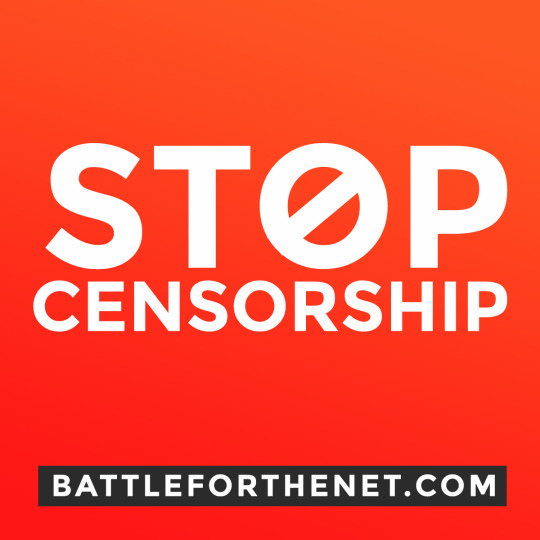 I have never had to use the comment blacklist, although I have deleted a number of comments whose only purpose appeared to be intended to get a rise out of me or my readers. My view is that while I might disapprove of one comment let’s say, I do want to give a person the chance for redemption. However, if it became a pattern I will certainly take this option into consideration. My experience with trolls and over-excited posts on my chat board, is the that editing a comment is usually poison. The author is more likely to cry ‘freedom of speech’ (on my private script, I know), express anger – and leave the venue. With a bitter taste in his mouth. A few times I got away with it, but I learned to be ready to lose the visitor, and their circle of contacts. Surprisingly, I got almost no complaints about deleting entries. And this turned out to be the single most important tactic for defeating trolls, after posting the IP address of the author with time stamp on every post. And I found that holding my tongue was important, to manage trolls. Anything I said either to or about a troll – fed the troll, inviting the beast to return. I answer questions about anything I did, but never until someone asked. Thanks for the reminders of the WordPress options! Lorelle, what about empty comments like ‘O, great!! !’ ‘O, thanks!!!’? Do you leave them? Delete them? Brad K: I’ve been cleaning up comments for many years and have only received a few responses – some saying thank you for fixing the spelling. Only twice has someone got nasty when I deleted a comment, but I didn’t put it back or apologize. Forums, however, are different animals in that respect as they are ALL about the conversation. You are right on with not feeding the trolls. They want and need the response so ignoring them is the best response. Starved, they go elsewhere for food. Jacob: Depends. If the comment form information looks spammy, it’s gone. If it looks like a sincere comment, I’ll leave it. Sometimes, that’s all anyone has the courage to say. Or all they can think of to say. However, if I have a long list of comments for a blog post, and there is valuable information within those comments, among the “thanks” and “very cool info” useless comments, I will clean those out in time so that the valuable comments are easier to scroll through. this is informative. Thanks. After all that’s been happening recently in our small circle of bloggers, it would be wise for everybody to read this. thanks for posting. Is there any way to stop the scammers that take an exerpt from every post on your blog? Scammers? Those are called splogs. Yes. You can tell them to stop. You can add their IP address to your filters and blocking techniques and options. You can make it clear in your copyright statement and policy that you do not allow usage of your content, even as excerpts. That will set the guidelines for what you describe as Fair Use under the copyright laws. However, since it isn’t “standard”, you might have some problems if it gets to court. As a rule, if they are using excerpts within Fair Use, there isn’t anything you can do, but you can try. I’d try. I do it all the time. It is my copyright policy that there be no use “commercial” use of my content, and putting my content on ad filled blogs without my permission is a violation of that policy. Apologies Lorelle. The above comment is from my 2.5 year old daughter. She got hold of my laptop when I was away and she thought of getting the ‘youngest commenter of this blog’ award! I wanted to thank you because your Article got me to thinking about my situation. I used your link so that my Members could read more also. It’s insane, especially if your dealing with Groups and Pre-Madonnas who think they know it all. Anyway, please accept my thanks again. Glad to help, but I’m not sure how. Your rambling post was very hard to follow and made sweeping generalizations. 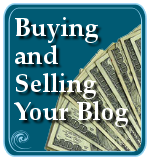 I am a strong advocate for dealing with troubles on my blogs – all blogs – in a quite, dignified, and private manner, especially when dealing with mean-spirited bloggers and commenters. The less public fuss, the better the blogger looks and the less attention the bully gets. Now i’m trying ip trick… You google find isp/address with ip expl… place ip of troll there and it will give all his info if not hiding behide a proxy. not sure if wordpress supports address/isp banns in blacklist but thats my next test. a life even after three years. They act all nice to you just so they’ll get more hits on their blog. You can tell their truly a fraud when they compliment you, but never referrence the topic or anything about your blog. Ugh. Thanks for the useful help, though. I think this’ll deter my crazy lunatic commenters that attack me. In 48 hours I’ve gotten 750+ spam comments. Before you go too crazy, know there is a difference between comment spam, mean comments, and attacks. If it is true comment spam, make sure you read Do Not Delete Comment Spam. Mark Spam as Spam. It is very SERIOUS that you do not delete comment spam. Mark it as Spam and WordPress.com and Akismet will take care of the rest. If it is harassment and attacks, contact WordPress.com for help and, if necessary, contact the police. It is illegal. I was able to fix it with the tips suggested. Thank you so much! Blocking the non-registered users has haulted their spam-fests entirely. Fantastic. I know it is a pain, but if this is really from one person, get help from WordPress.com and report it to the police. Sometimes nasty folks escalate and you want to protect yourself at all costs. Be safe! there seems to be a lot of advice on what NOT to do/what you wouldn’t recommend. so the alternative is to try and ‘rise above’ and be bullied? sometimes comments DO warrant extreme action (cyberbullying is real) and so are the effects of it. I’m not sure I understand your statement. The article offers advice on how to resolve the issue. Are you trying to find justification for aggressive and potentially illegal action against someone for a comment on your site? Cyberbullying is very real. There are many options to choose from when it comes to responding. One of your choices is to rise above, others are to deal with it peacefully, ignore it, or take legal action if their action breaks laws. You have many choices. This article from 2007 offers just a few options. There are now laws in place to protect people from online abuse. It’s up to you to choose wisely for yourself and your situation. Thanks for your tips. I’ve had to put some to use recently because I seem to have upset someone, not really sure how but I seem to have picked up this troll. The language is somewhat hateful towards myself and my blog. My choice so far has been to delete but as I’ve now received a second I’ve decided to block. I think it is wise if you have a comment you are not sure about, not to let them proceed. My site has a capcha so you have to be a human to comment. I’ve also gone to lengths to prevent spam in general on my site. Thank you but a correction. Commenting on WordPress has NOT gotten out of control. If anything, it is a desert as everyone holds discussions on social media. 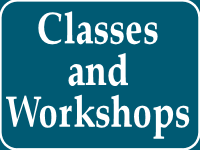 Blaming WordPress has nothing to do with comments, on the sites and on social media. As the bots and human spammers plague the Internet, we all suffer for their greed. It has nothing to do with WordPress, so watch who you blame and help everyone by not leaving spammy or useless comments and giving the comment box the respect it deserves as a place for intelligent conversations.